Do you have a mixed breed dog? Have you ever wondered ‘where’ he or she came from? Are you curious about his/her physical and behavioural traits? Almost 50 % of dogs in Australia are a mixed breed. The smarter you are about your dog’s past, the smarter you can be about his/her future. Dogs are like people – they inherit physical and character traits from breeds in their family tree. They also pass along genetic disorders from generation to generation. Your mixed breed dog is a mixed bag of genetic traits. Understanding their ancestry is crucial to creating the most effective health and wellness program. Until recently, the addition of a mixed breed dog to your family of pets was a guessing game – guessing their full-grown size, guessing the amount of food required to feed the creature, guessing how many holes were going to be dug in your prize rose garden. Well now, the guessing game is over! We can help. Together with ADVANCE®, Anstead Veterinary Practice is able to unlock the secrets of your mixed breed dog’s past. The ADVANCE® Mixed Breed Identification DNA Test removes the guesswork for both your and us, your Veterinarians. 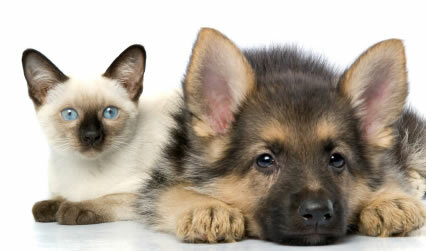 PRE-SCREEN for your dog’s breed-related risk of developing certain genetic disease. The DNA test results are obtained via a quick and simple blood test. Within 2 weeks of the test sample being taken, you will receive a complete report detailing your dog’s tale. You and your dog will benefit from the report for the remainder of your dog’s life. Call in or phone us for more information on this exciting new innovation, or to pre-book your test. Here’s to unlocking the secrets!